Invest in Yourself. The only way to grow into having more of what you want in life, you must invest in YOU! Purchase the training programs or coaching that will give you a better advantage to achieving your hearts desires. Invest in You. You are worth it! 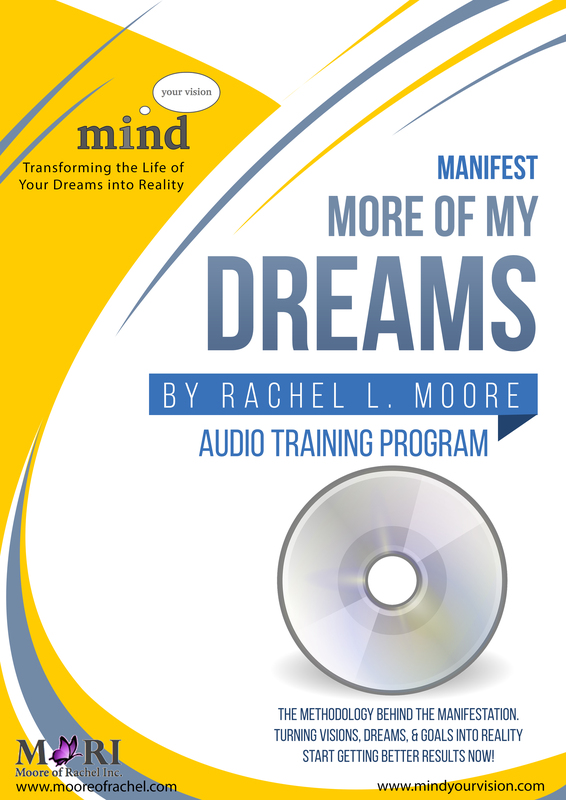 Manifest More Audio Training Program is your next BIG step to Clarity and Living a Life of Fulfilled Dreams! “Manifest More of My Dreams” – a training program that teaches the methods or methodology behind the manifestations. Learn how to recognize the signs and how to follow divine guidance. 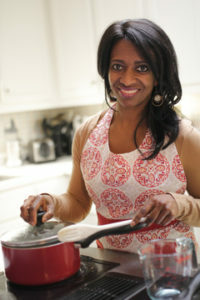 This program is a prerequisite to the Makeover Me program. If you have a promotional Coupon Code, enter it during the Check-out process to receive an additional discount. “Makeover Me for More Money” – a training program that shares the secrets to increasing your paycheck or profits. It’s an inside job! 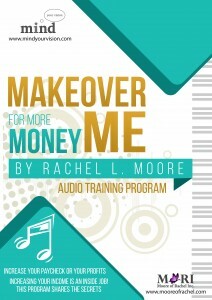 No matter where you are working today, Rachel tells how you can increase your pay within a short period of time by following the techniques demonstrated in this program. Learn what to do to receive pay bonus, pay raises, promotions, or increased profits.